The Society has published four books about local history. 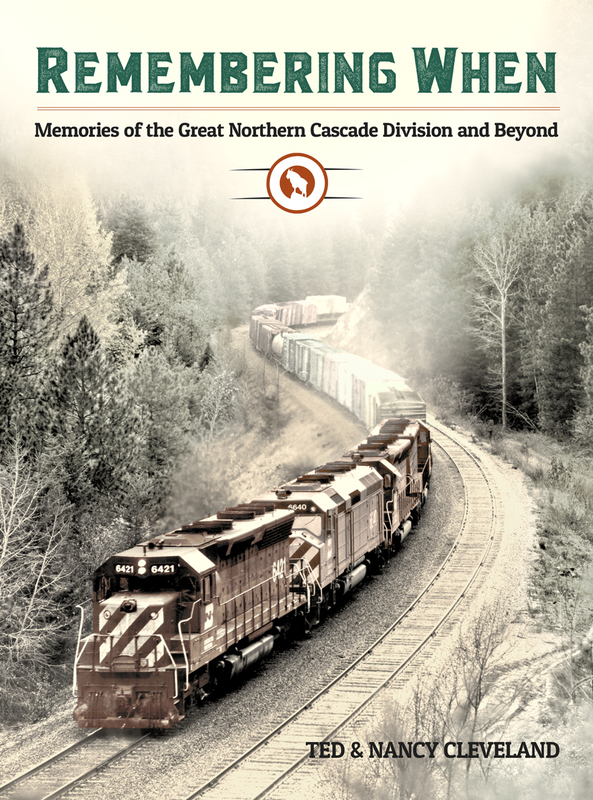 The newest is just out: Remembering When - Memories of the Great Northern Cascade Division and Beyond contains 21 accounts as told by the men and women who worked on the Cascade Division or managed families who supported them. This 260 page book has over 50 photos and a fold-out map of where the events took occured. Upper Skykomish Valley contains 126 pages of photos with descriptive captions of the history of the upper valley. Upriver Voices and Upriver Echoes present oral history with remembrances, stories and tales about history and people. The publications are available from the Society Museum or download the purchase order below. The puzzle shows the busy yard at Skykomish featuring a variety of locomotives and rolling stock as well as the substation that powered the electric locomotives from 1927 to 1956.